Xander Time is an English educational app for young children to learn to tell the time through healthy technology. Children are introduced to the clock and each hour before they practice to tell the time of the day through an entertaining game. Xander Prepositions is a educational app for young children to learn about prepositions through healthy technology. Children are introduced to terms and visible placement features after being presented with the meaning of prepositions. Through an interactive and highly entertaining hide-and-seek game with Xander and friends, your child with be able to use prepositions with more confidence. Xander Time part 2 is a educational app for young children to learn to tell the time through healthy technology. Children are introduced to more advanced features after learning the basics of time telling in Part 1. Here children learn about each half hour and quarter hour before they practice their new skills through an entertaining game of stop-the-clock. 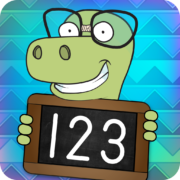 Zulu 123 is an Zulu educational app for young children that teaches numeracy using child-friendly counting beads and characters from the animal kingdom. 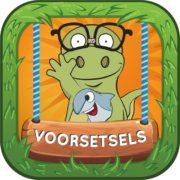 Xander, the lovable narrator, guides your child through four learn-through-play activities involving vision, hearing and touch to teach them how to count to 10 in Zulu. Zulu Shapes and Colours is a educational app for your children that teaches six basic shapes and the primary and secondary colours using age appropriate games. 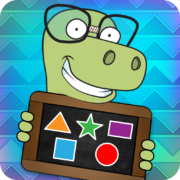 Xander, the lovable narrator, guides your child through six learn-through-play activities involving vision, hearing and touch to teach them to identify shapes and colours.